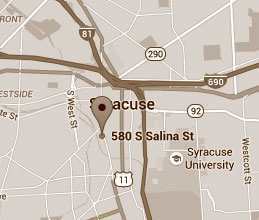 personal, business, real estate, estate planning and tax issues, contact our Syracuse Attorneys now. When facing a legal issue, it is important find an attorney with whom you can work with a trust over a long period of time – perhaps decades, since most individuals and business owners rely on their attorney to know their background, their issues and concerns, and advise them in the context of their overall goals. The long-term experience that their attorney brings to bear on their legal matters creates a bond of trust, candor and confidence, resulting in the satisfactory conclusion of the various matters of the clients individual or business goals. Working with an accomplished attorney of longstanding experience in a wide range of legal matters is tremendously beneficial. Having a broad knowledge and experience in a wide range of general and business law gives us the ability to see ramifications and legal issues that could affect a clients case which may not be immediately apparent but are important and could affect the outcome of a matter that a client may bring to us for advice and resolution. Please feel free to contact for assistance with your everyday legal needs, as well as more complex real estate and environmental matters. Your initial consultation is always free of charge and without obligation. If you retain the firm, our fees are based on the specific type of case you bring to us. McMahon, Kublick, PC has a deep background in all types of commercial and residential real estate development law, financing, mortgages and municipal and environmental law. Attorney Jan Kublick has focused on the interrelated real estate and environmental fields for more than 30 years. The firm represents individuals, financial institutions, developers, property owners, buyers, sellers, managers, tenants, and financial institutions involved in commercial, residential, multi-use, and industrial projects. No matter how complex or straightforward your legal matter may be, our team of experienced attorneys can help you find the best possible resolution of your matter in a timely, beneficial and cost-efficient manner. Contact McMahon, Kublick, PC online or at 1-800-638-2998 for assistance with everyday legal needs and complex real estate and environmental matters. The initial consultation with one of our attorneys is always free of charge and obligation. If you retain the firm, our fees are based on the type of case you have. If you would like to talk to one of our Syracuse general practice attorneys about your specific legal matter, please call us toll free at (800) 638-2998. You may also use one of our convenient online contact forms and one of our attorneys will call you at a time that is convenient for you. All initial consultations are FREE, and without obligation. For over 38 years, we have helped Syracuse and Central New York clients with their legal matters. Contact us now for a free consultation, and let our experienced legal team help you too.